As the popularity of absinthe swept through France during the mid 19th century, the green fairy began making her way over to the 'Paris' of the New World, Nouvelle-Orleans (New Orleans). French-speaking travellers and immigrants alike carried their passion for absinthe with them to this vibrant port city, and before long, French apothecary Antoine Peychaud was doling out 'healthy' absinthe cocktails from his Royal St. shop. The popularity of absinthe surged in French-speaking Louisiana, and when Henri Degas and Oscar Wilde spent time in New Orleans in the latter part of the 1800s, they had no trouble finding imported French and Swiss absinthes among other familiar comforts. By the advent of the 20th century, cafes like the famous Old Absinthe House were making a name for themselves by cooling the humid summers with Sazeracs, absinthe frappes, and even the occasional absinthe creme de glace. Unfortunately, it all came to a halt with the U.S. ban on absinthe in 1912... or did it? This exquisite absinthe represents the inspired work of native New Orleanian T. A. Breaux, and its heritage is rooted in the original absinthes that made the Sazerac cocktail and absinthe frappe famous. Its unique distillation of stimulating herbes toniques is just what the Belle epoque chimistes prescribed for various subtropical ailments. The light, stimulating mouthfeel and delectable floral finish of Nouvelle-Orleans Absinthe Superieure present the connoisseur with a unique perfume and texture that disappeared along with the artisanal marques almost a century ago. 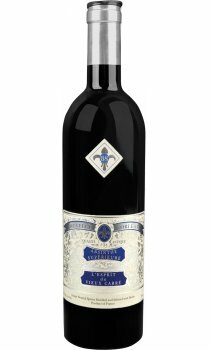 We invite you to see why we truly consider Nouvelle-Orleans Absinthe Superieure to be "L'esprit du Vieux Carre".